According to a 2018 Radicati Group study, there will be more than 3.8 billion email users before the start of 2019. Amongst current American users, 89% check email at least once a day and nearly 21% check their email more than five times a day. Needless to say, email is a vital part of modern communication. The influx and significance of email become even more heightened when you take into account the needs of small businesses. Unlike casual users, small business owners and entrepreneurs must concern themselves with a meticulous organization of a large amount of incoming mail, the security of personal and client information, reliability, professional appearance and integration across platforms and devices. As of 2018, there are 434 Email Service Providers (ESP) available in the market, and each one has it’s own unique package of features and tools available to users. Here is an overview of three of the most well-rounded and highly regarded email service providers. Gmail is the most popular email service in the world with more than a billion users. The fact that so many already have a Gmail account, Google’s business ESP is an attractive option due to interface familiarity and the seamless integration of current contacts. Users get the benefit of such Gmail features as inbox organization tools, text messaging, voice and face-to-face web based calling, spam detection and conference calling with a personalized Google number. The business suite builds on Gmail by offering additional options. 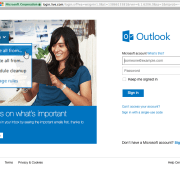 Business users can personalize the email domain name for a greater professional image. 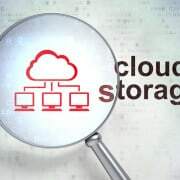 A larger storage capacity of 1TB is available to small businesses that have four or fewer users. 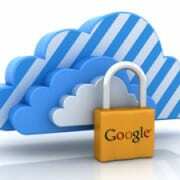 Greater users than that and the user is granted unlimited storage. All of this plus complete access to the entire Google suite to include Google Drive, Google Photos, Docs, and Calendar, 24/7 support, and more is available for $10 a month. 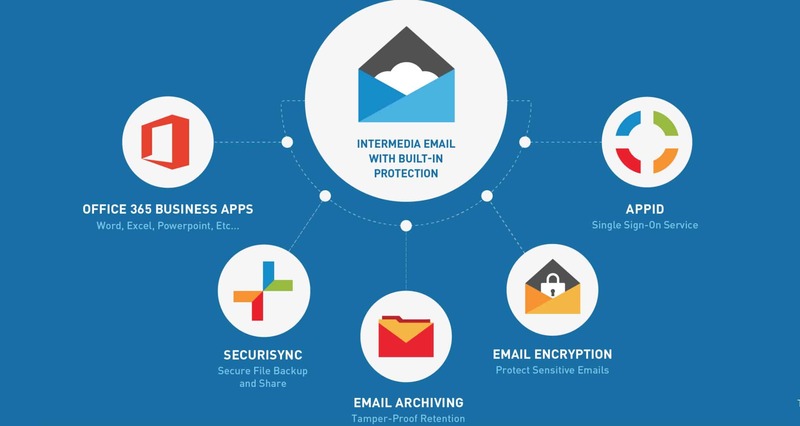 Intermedia Exchange Email is an excellent service with exceptional customer service and security. Utilizing the service is a fully guided process that dedicates a support team entirely to the process of email migration and setup. With plans that start at $7.49 per month, users have many options and add-ons to choose from. As standard offering users are given unlimited mailbox storage, 24/7 customer support and a 99.9% guaranteed uptime. Basic features also Skype for business and backup and file sharing app that offers 10 GB of space. In addition to the highest quality customer service Intermedia boast incredible security features. With the use of Cloudmark and SpamAssassin, spam is filtered and removed based on a rating system where each email is tracked for spam signatures and given a score. Based on that score the email is either deleted immediately (a feature that can be turned off), marked as spam or allowed to enter the inbox. One of the greatest strengths of the Exchange is that it allows the use of Microsoft Office Apps, an important feature considering Microsoft Office is still the most widely used office suite by businesses. 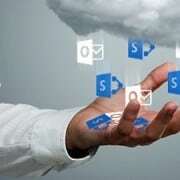 Microsoft Office is still the dominant productivity choice in the business sector. This makes it’s email service provider a great one-stop option for those within the business sector that are already familiar with and use Microsoft Office Suite. Compatibility with the business world’s most used software is possibly the most desirable feature as well as the incredibly low price of $5 a month. Beyond this, use of the highly coveted Exchange software makes the business plan even more attractive by allowing all inboxes, information, and contacts to be synced globally across devices. Microsoft Exchange allows the inbox the use of smart technology to determine priority and assist in the user’s organization of incoming and saved mail. The combination of Exchange and Outlook allows users to manage emails remotely, through the web, through mobile applications or from a local desktop. Users will have access to Skype and can access email from a desktop, mobile app or web browser and are allowed 50GB of storage. 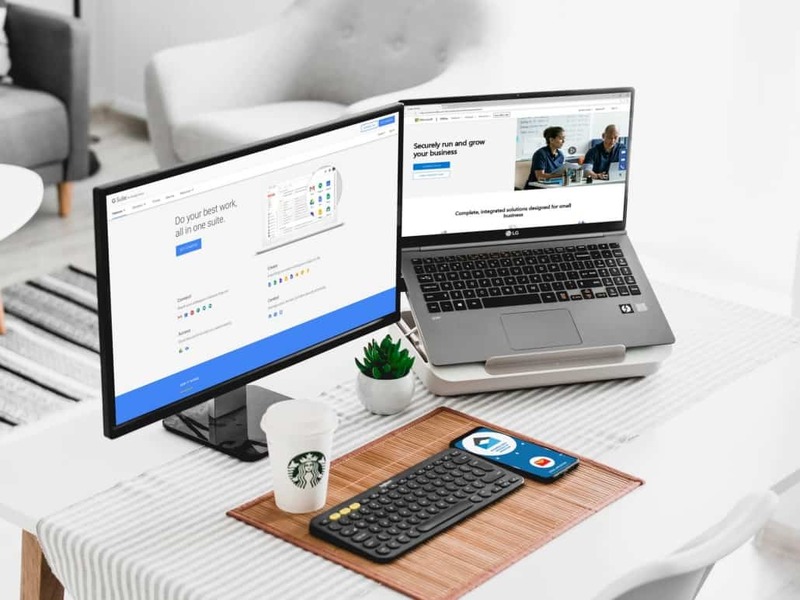 Set up is a largely self-directed, streamlined process with a series of prompts to connect business email with a domain, should problems arise there is a dedicated customer support team. Thanks for reading, if you have any question or comments please don’t hesitate to let us know in the comment section. 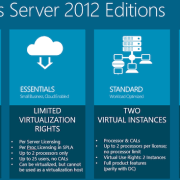 Windows Server 2012 Is Great But Should You Upgrade? 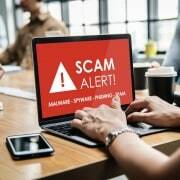 Tech Support Scams – Stay Safe, Protect Your Business and Reputation Why is password security becoming increasingly important?